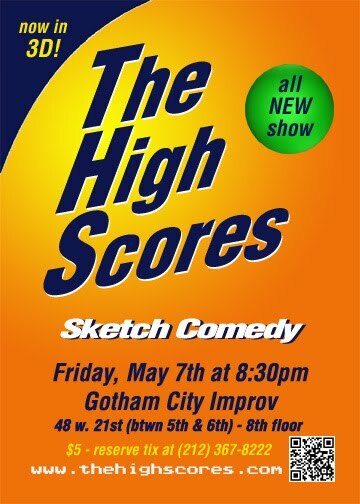 Come see The High Scores perform a BRAND NEW Sketch Comedy show! That's right *NEW* as in stuff you haven't seen before. Only $5 at the door and make your reservations at (212) 367-8222. Oh, and the most important detail... it's BYOB - so bring a couple beers or frosty malt beverages.